Leading Manufacturer of hv tester, low tension indoor current transformer, ct testing unit, pt testing unit, low tension current transformers and encapsulated current transformers from Jaipur. Every electrical apparatus or machine Is provided with insulation between live part and earth or between two different sections of live parts. This insulation is required to be tested at high voltage values recommended by applicable relevant standards. 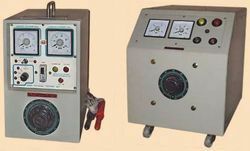 The Standard Specification for various electrical apparatus specifies Power Frequency Voltage withstand test at different levels depending upon working voltage of electrical apparatus. 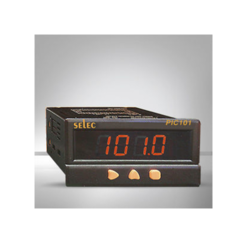 It is observed from the various standards for electrical equipment that the minimum power frequency voltage withstand test level for electrical insulation is 2kV for one minute.Voltage Breakdown Tester is portable, sturdy & plugin to start type construction & requires minimum tablespace. It broadly consists of 3 main sections. 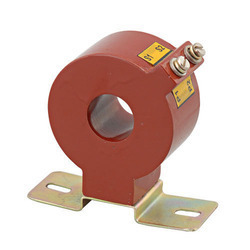 Low Tension Indoor Current Transformer in different types & capacities to suit individual requirements. a) Single phase / Three phase, Double wound / Auto wound, Air cooled / Oil cooled. b) Any special (LT) transformer including an ultra-isolation transformer. c) Other types of transformers up to 600kA. iv) Motor starting Auto Transformer up to 600kA. v) Other as per customer specifications. d) For voltages beyond 660 Volts &7 frequencies other than 50Hz, special construction possible as per customer specifications. Terminal accessible through cable entry holes or on an opening terminal box. 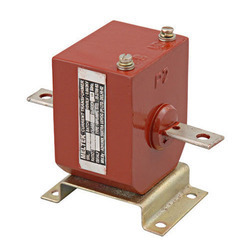 Floor mounting transformers may be provided with MS rollers or base channel. Wall mounting arrangement, wherever feasible can be provided. Offload taps - controlled by link arrangement of tap selector switch. It compares & reads the error due to the imbalance in signals of test P.T. with reference P.T. and applies necessary proportional signal to nullify the error. Input is displayed in percentage or actual value, and phase error in centiradians or minutes. On separate key commands the error readings with date, time,% input & burden are sent either to a PC through RS232C port or to a printer connected to the parallel port, in order to have reported in "view format". The data read from RS232C port can be arranged by using any standard text editor, and a printout can be taken. Digital display of %input, ratio error and phase error. These are used in detecting earth faults of very small magnitude. A three-phase cable is passed through these CTs & the unbalanced currents in the three phases set up a differential flux giving rise to a current on the secondary side of these CTs sufficient to actuate a relay. 1. 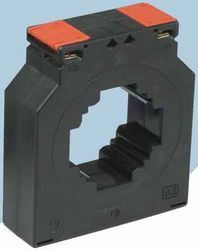 Tape wound ring-type current Transformers with and without mounting arrangements. 2. Tape wound ring type CTs with sealing arrangements. 4. Resin cast (epoxy) BPL CTs. 5. Resin cast (epoxy) wound primary (WPL) CTs. 6. Bushing CTs (Fibreglass taped).